I have thought about writing a post featuring my houseplants before, but "The Nester" has inspired me to get it done with her "Planty Linky Party" on Monday, April 23rd. I like plants inside or out. They make a house feel more homey. Kind of like a quilt and scatter rugs. Here are two little ivies that are perfect for vignettes. They are in a vintage plaid lunchbox. I also use my baby's tears in vignettes a lot. 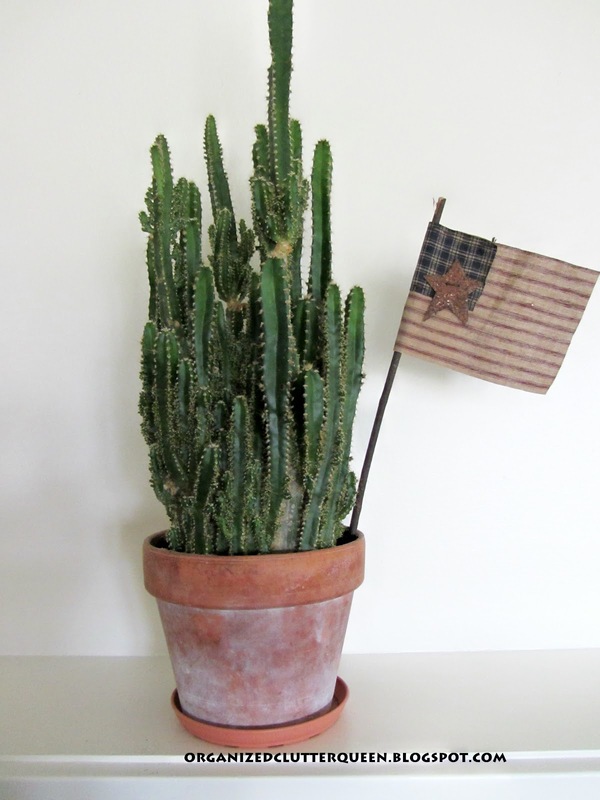 This old cactus was one single shoot when I bought it at Kmart. 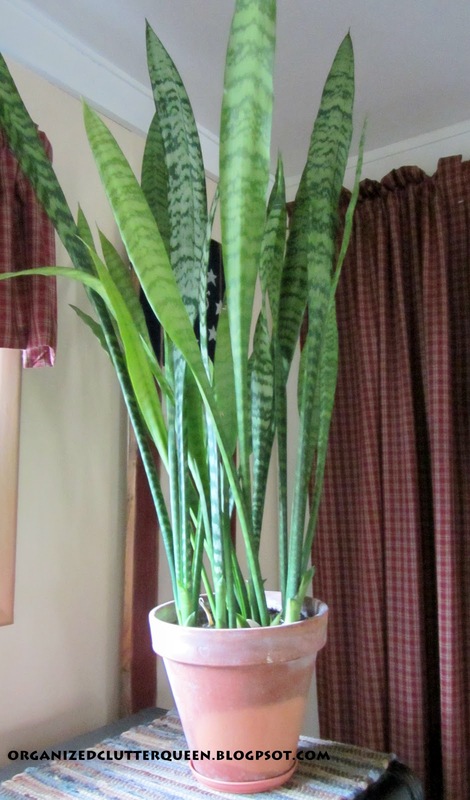 This big snake plant was from an off shoot of my Grandma's plant. 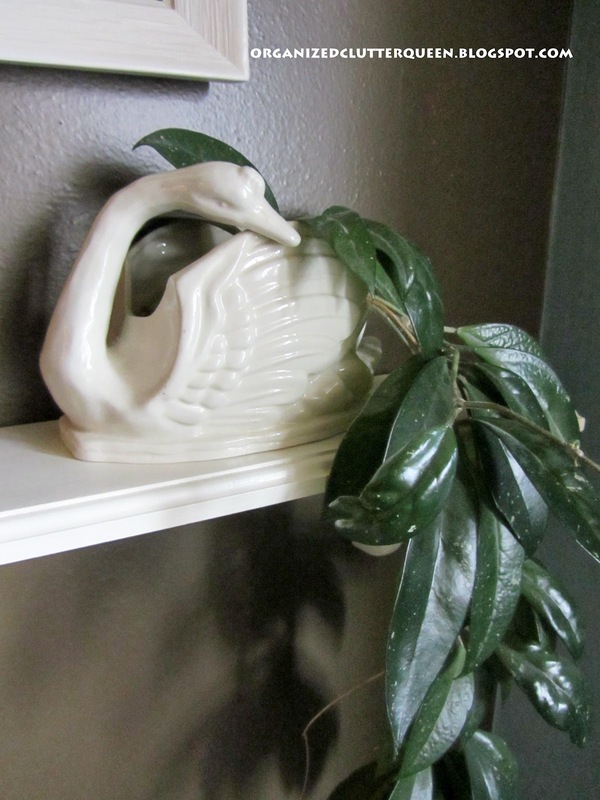 This is an old hoya planted in a vintage swan figural planter. My African Violets are beautiful right now. There are three different plants in the same pot. I just bought this engraved silverplate spoon yesterday at a local shop, The Tattered Angel. It's perfect for a plant pick. That's most of them. I have a few more but they are not at their best. Maybe I can put them outside for the summer. Sometimes that does them some good. I absolutely love the plant in the plaid lunch box. Love them all really and am jealous at your green thumb. Thanks for sharing with the newbie party. You surely do have a green thumb, I so envy that:) Both my parents did but not me. Your plants are lovely and look so nice in the neat containers! 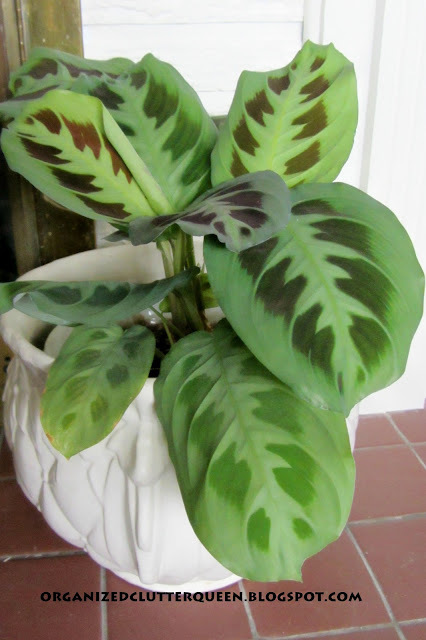 Your plants look so healthy. 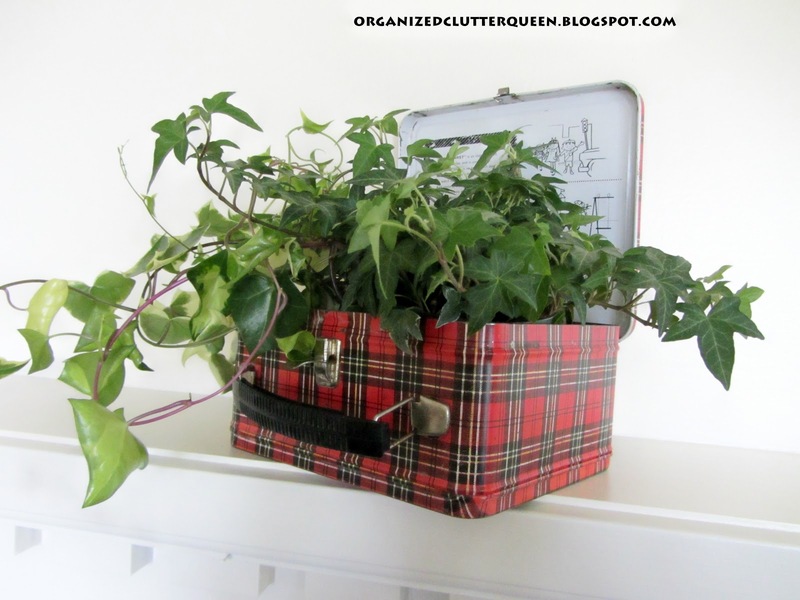 Love how you used that red plain lunch box for a planter. So cute. And your ivy topiary is wonderful. You have some lovely plants and I love how you've displayed them too! I have a couple of ivys and a plant that I don't know the name of! 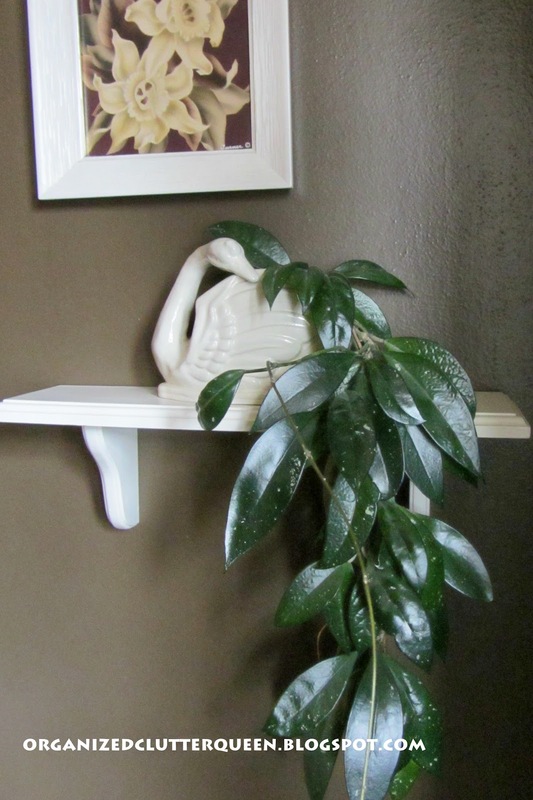 Loving all you plants, and really like the prayer plant in your McCoy white vintage jardiniere. So pretty, also like the hoya in the vintage swam. It's hard to keep plants alive in winter, so little light, spring comes and I put them outside and they really perk up! Thanks for sharing your creative plant inspiration at Sunday's Best Par.tay. I absolutely love the baby's tears in that old box set up. I have a bunch of boxes like that but I never use them for anything. Beautiful plants! 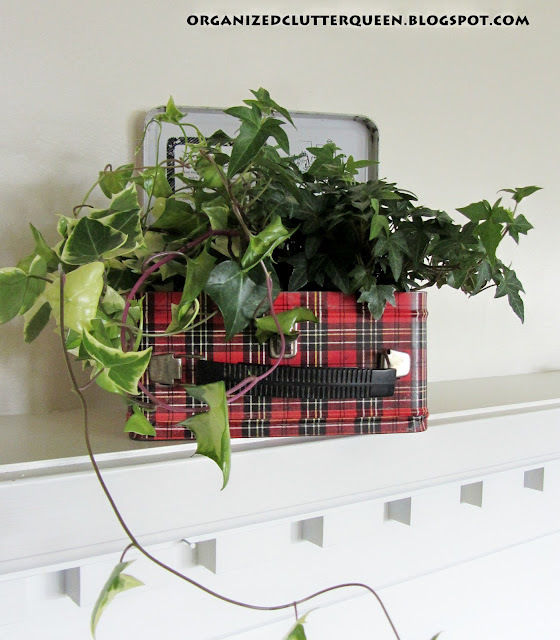 I love the ivy in the plaid lunch box...so cute! I found you through Debbiedoo's Newbie party. I'm now following and looking forward to seeing more of your creative ideas. :-) Happy Monday! 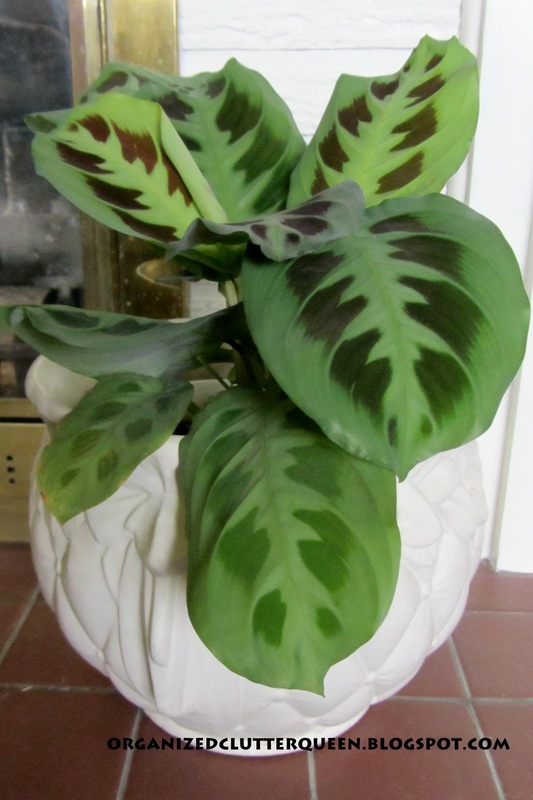 I have to have green plants in our home. It just makes me feel good. Thanks for sharing your greens. Wow! 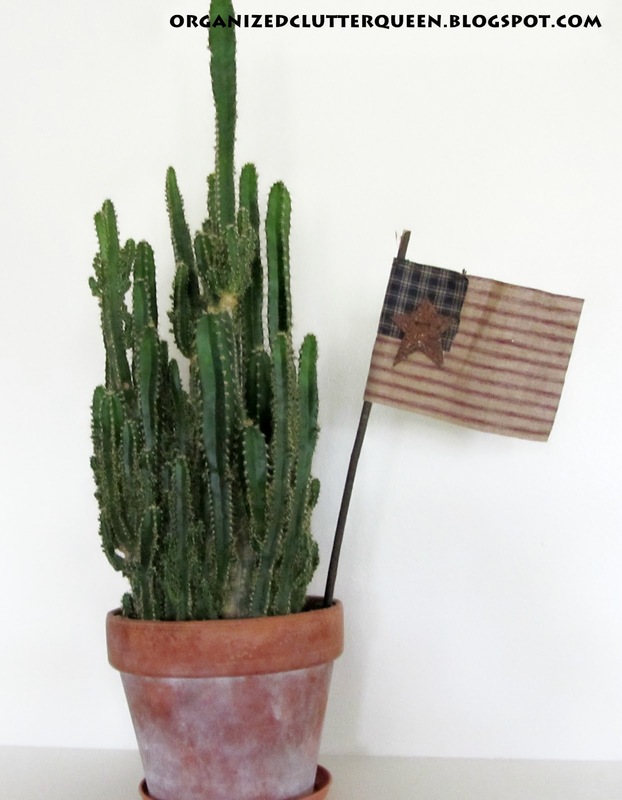 You do have a green thumb! 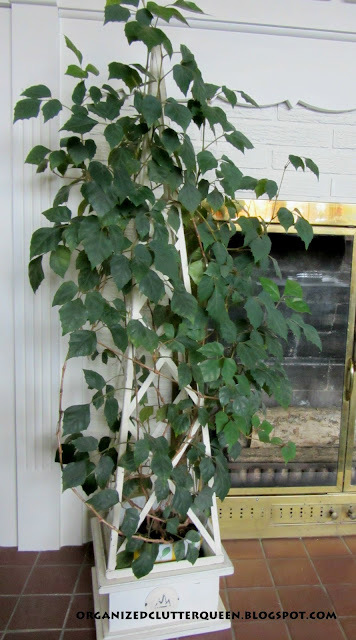 That Hoya...I have something similar, it grows and grows and vines around things and I was told it was Smilewax vine? Not sure but it takes neglect really well! LOL! 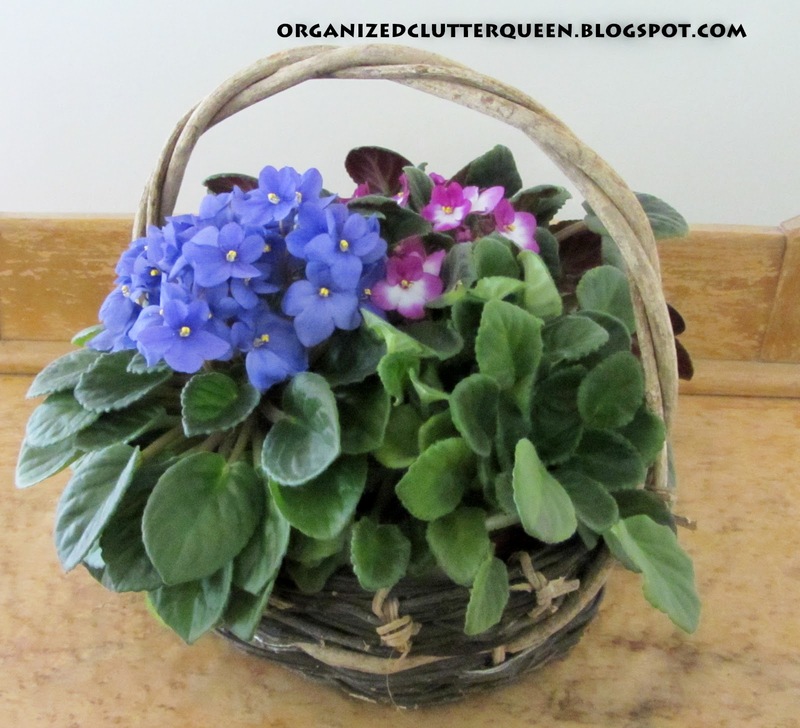 I have 2 violets and neither are blooming! It's been a year! I even have them in special planters that have water in the bottom they absorb and I potted them with AV soil...what's up with that? 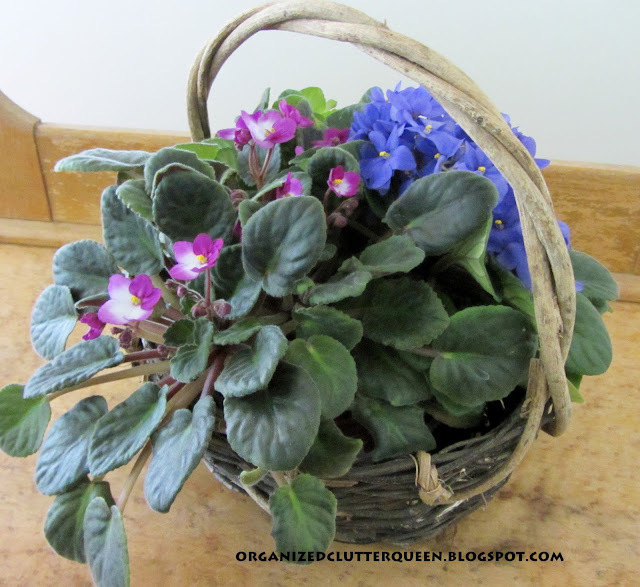 Yours are so pretty in that basket! I so love your houseplants. I have a large collection myself and often trade with friends and family. 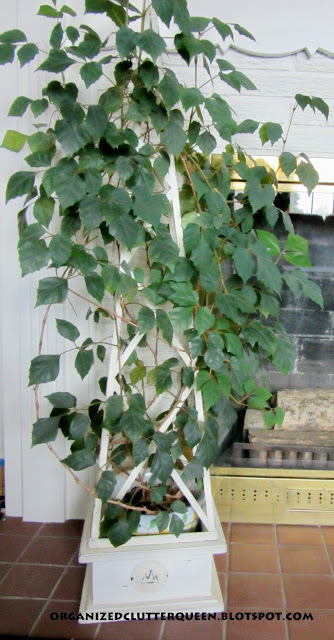 Your grape ivy is lovely and the prayer plant is one of my favorites. The one plant I haven't mastered is the african violet. They grow for awhile and then all of a sudden just start dying. I haven't tried in probably 20yrs so had made up my mind that I would attempt it again this year, maybe my green thumb will work this time. lol I'm a new follower and found your link at the Newbie Party. 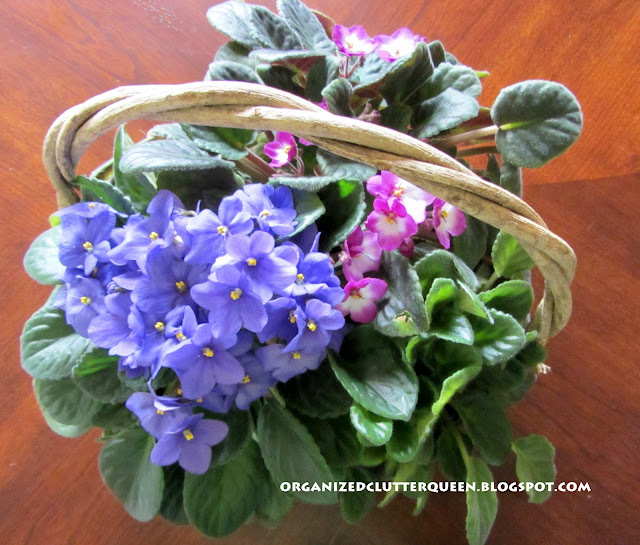 Would love if you found time to share your link at my Frugal Treasures Tuesday party. Have a great week. 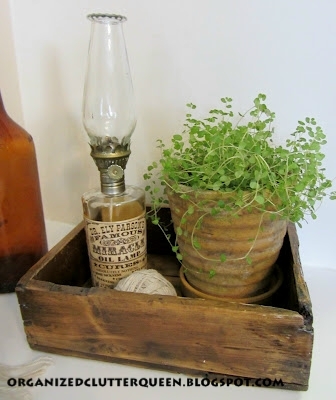 The lunchbox is adorable, especially as a planter. You've got it going on with the houseplants. They sure do make things homey, don't they! Hey Carlene, wanted you to know you were featured at Frugal Treasures Tuesday party last week. Feel free to grab a featured button from my sidebar. Hope you'll be back to party again and spread the word, the more the merrier!